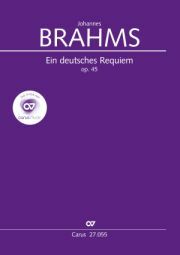 Brahms’ Deutsches Requiem is indisputably one of the key works in the history of oratorio. 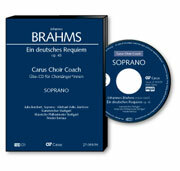 The choir, as the voice of the people, carries the musical action almost continuously. 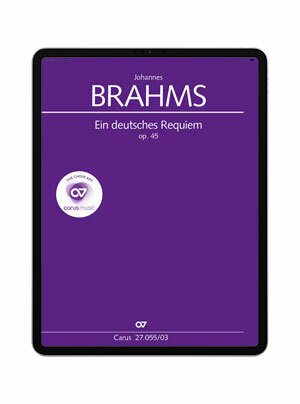 In his Requiem Brahms masterfully combines compositional techniques drawn from earlier centuries with what were then new harmonies, a combination which still presents challenges for choral singers today. 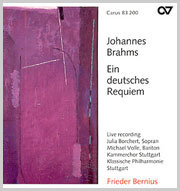 So that the work achieves the monumental impression of sound and the desired depth of expression the composer intended, the parts need to be secure – no easy matter with many changes of key, excursions into distant harmonies, and all sorts of pitfalls regarding intonation.